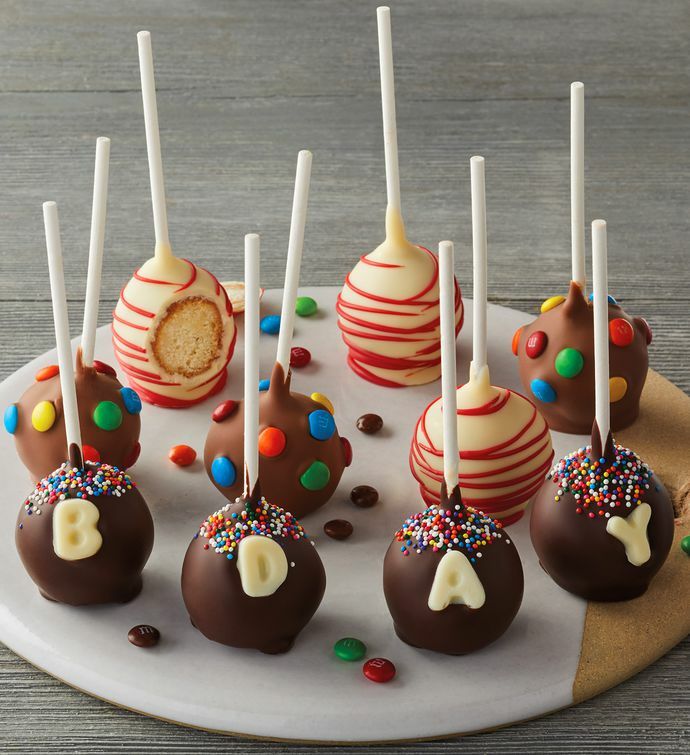 4 dark chocolate-covered decorated with "BDAY"
These Birthday Cake Pops are a sweet idea for making someone's special day even more memorable. Ten moist chocolate cake pops are dipped in Belgian chocolate—creamy milk chocolate, bittersweet dark chocolate, and sweet white chocolate—and then decorated with multicolored sprinkles and chocolate piping. Finally, four of the pops have white chocolate letters spelling "BDAY" affixed to their decadent coatings.